For each of these factors, points are added or subtracted based on the amount of that nutrient present1 compared with the documented effects of various dosages of that nutrient on inflammation in humans.2 The result is a single number that estimates the net effects of all of these factors. A negative IF Rating suggests that a food or meal may have inflammatory effects; a positive IF Rating indicates an anti-inflammatory effect. The larger the number, the stronger the effect. 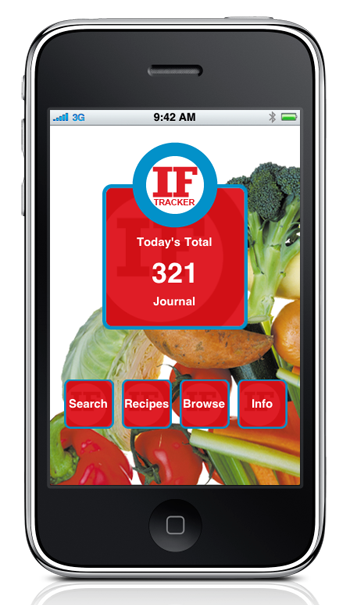 The IF Ratings of individual foods and ingredients can be combined to estimate the effects of meals and recipes. 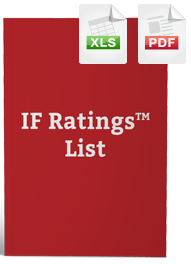 The IF Rating is dependent on serving size. For example, the IF Rating of 1 cup of romaine lettuce is 69; the rating for 2 cups is approximately 138. 1Nutrient composition data is provided by the USDA National Nutrient Database for Standard Reference. 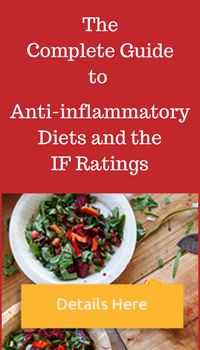 2An extensive bibliography of research on the effects of individual nutrients on inflammation, can be accessed here.